At C-Yacht we use modern yacht construction techniques. 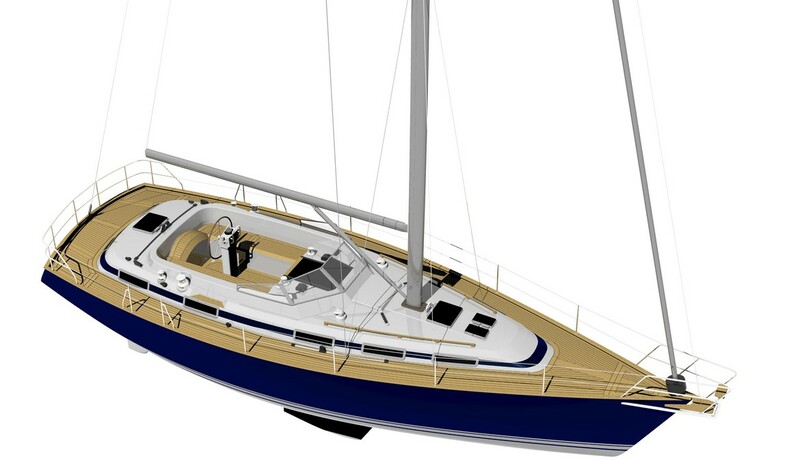 The C-Yacht 1250i, for instance, was developed with the help of the youngest 3D programmes. Our designers and technicians ensure that that all elements aboard are optimally positioned and easy to reach. And of course that also means to guarantee both installation and maintenance of those elements to be as easy as possible. C-Yachts have a self-supporting structure, comparable to that of a monocoque. 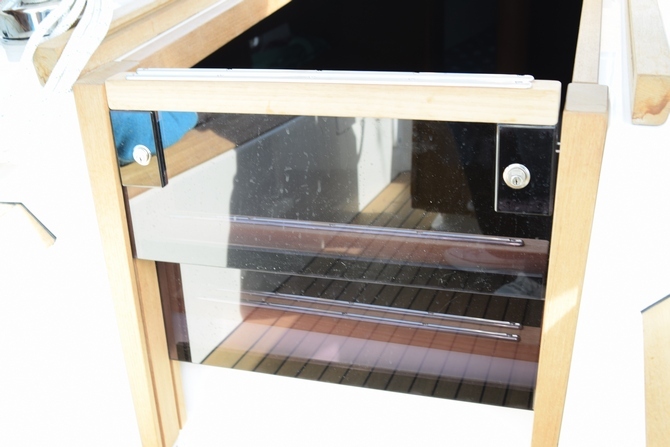 This effect is created by a laminated connection of those components with each other: Hull, deck, interior shells, bulkheads and the innermost construction. The result: An extremely rigid hull. The hull itself exits the mould as one single component. Therewith, manually laminated mats run in fore and aft as well as in athwart direction. The hull consists of vinylester resin. Which is considerably stronger compared to its predecessor, polyester. Together with the NPG gel coat it provides a high resistance against osmosis. Laminate made of heavy fibreglass reinforcement, quadraxial and biaxial, for the inner as well as outer layers. Unidirectional fibreglass mats for additional rigidity. ISO-NPG gel coat of DSM NPG for the hull and deck: Optimal UV-resistance and long-lasting brilliance. You decide which colour is applied where on your ship. 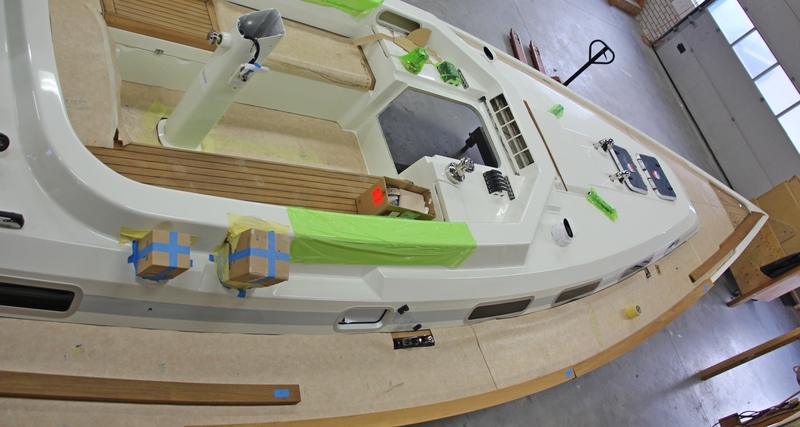 The main and aft bulkheads consist of a Vinylester Sandwich Composite Structure (VSCS) and are veneered horizontally (CLUB edition). The bulkheads are laminated all around to the hull, the deck and the inner layers: For an exceptionally rigid and homogeneous construction. In order to provide maximum safety and comfort aboard for you and your crew, the entire hull (including its underwater part) and the deck are realised as a sandwich type of construction. 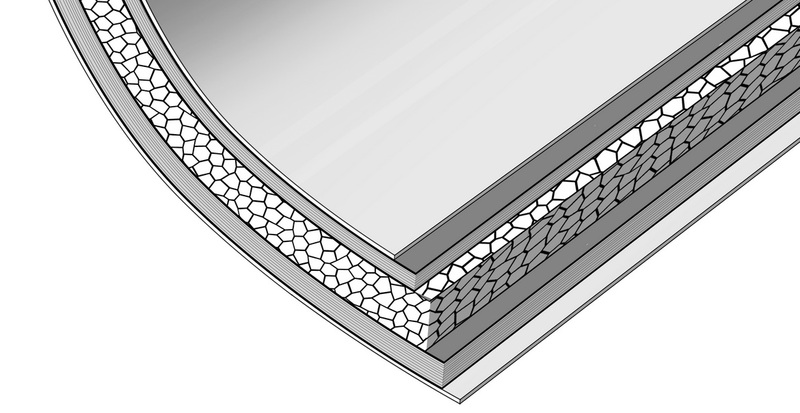 The material we use for that sandwich construction has a closed cell structure. This makes the ship not only stronger and lighter, but provides it with good insulation, too. And that offers more comfort aboard. The rudder post consists of stainless steel and is thus more resistant to corrosion than aluminium. The special upper and lower bearings are Jefa needle bearings, self-adjusting and movable. The bearings also have a double sealing: Two gaskets and one gaiter. The rudder post of the balanced rudder consists of stainless steel, resistant to seawater. This provides a more rigid and robust construction. The deep bilge gathers water and optimally distributes the forces along the hull. A stainless steel frame is moulded in the keel. The keel itself is suspended in an extremely rigid composite keel box. The combination of that keel construction and the inner shell together with the over dimensioned beams has the effect of a composite frame. It makes the ship extremely rigid and therewith, very safe. C-Yachts are designed for a small crew and are easy to handle. The sandwich type of deck construction creates a very rigid deck, together with a good acoustic and thermal insulation. 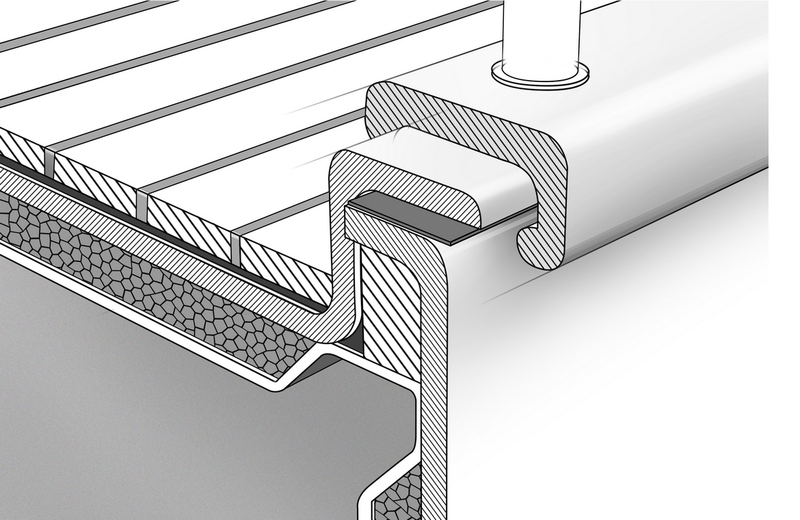 The stainless steel fixation of the stanchions is integrated in the hull-deck connection. To the bottom part of the stanchions, a massive end fitting is welded. This is passed through the extra reinforced part of the hull-deck connection and fixed with a screw nut. 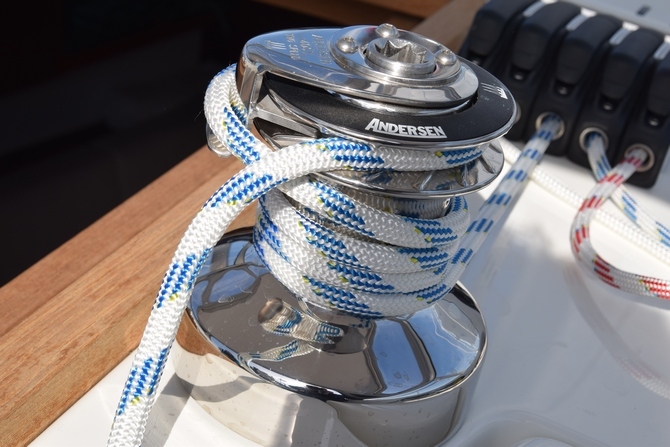 The deck fittings of course come from top brands of the industry: Stainless steel winches from Andersen, Ronstan blocks and powerclutches from Spinlock. All reinforcements of the rigging are laminated into the hull with very heavy components. Furthermore, loads are distributed via a composite frame. All halyards are neatly stored for a free and unhindered access. Each storage compartment has its own drainage system. All halyards are neatly stored in their own compartment featuring an own drainage system: Free and unhindered movement aboard. Also the interior is carefully crafted and made from the best teak wood. Manufactured at our own carpentry CNC and completely finished there by hand: This also allows for our clients to contribute their own ideas. The interior is realised taking the original figure of the wood into account. Result is a calmer and more spacious appearance. Varnishing takes place at our own varnishing line, too. Finishing varnish work is manually done. Bulkheads and panels are cut out with the CNC technique. This minimises material loss while maximising precision of the works. The deck fittings are mounted on extra heavy, laminated aluminium panels. 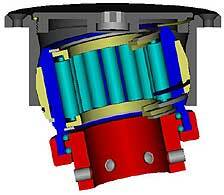 Which facilitates a re-mounting or removal of the fittings. Each C-Yacht has two collision bulkheads in its bow. They provide additional rigidity. Our customised, stainless steel diesel tanks are especially shock proof and impact resistant. The teak deck: 12 millimetres thick and fully glued by means of a vacuum technique. At C-Yacht we work with high quality products. So that you and your crew can get out on the water in all safety, free of worries. Year after year. 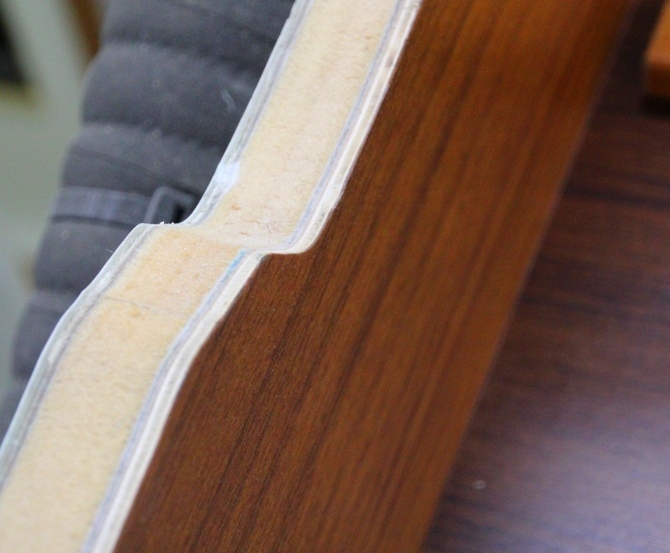 This is why we offer a warranty period of ten years for: Resistance against osmosis, the keel construction and the hull-deck connection. Do you have any questions after visiting our website? Don’t hesitate to get in touch with C-Yacht. And of course you are also most welcome at our offices for a chat or a test sail, any time. Our team will be ready to advise you and happy to exchange ideas.